Setting business goals is a difficult process. You’re forced to evaluate what makes your organization successful, and to visualize its future. Yet, without setting goals your organization will have no destination. And without a destination, how will your team know the direction it needs to take? The outcome of failing to set goals is failure. An organization that, at best, meanders, and at worst, falls into a pit of workplace complacency leads to ultimate failure. It’s clear that an organization with goals should be more proactive, energized and motivated to compete in its market today and create its own market for tomorrow. However, organizations that set goals often fail to follow through with them. According to research (including the 2010 Annual Staples National Small Business Survey) up to 80% of small businesses don’t track their business goals. The problem lies in how goals are set. In this article, we’ll examine why goal-setting so often fails. You’ll also learn how your organization can use a SMART goal formula. It’s this that will energize teams and guarantee that your people are engaged in business goals from the outset. The following five mistakes are among the most common that businesses make when setting goals. Understanding these will help you set SMART goals for your employees. Your team is doing well, but you believe they can do better. You amass the troops, praise them for their efforts and results to date, and then tell them to do their best to improve on them. A month later, you find that nothing has changed. Results have neither improved nor deteriorated. Asking your people to ‘do their best’ is asking them to do nothing more than they are doing now. Surely, they’re already doing their best? You break an overarching goal into specific pieces. You call your team to order, and give them their new targets for all goal-related tasks. A few weeks go by and your management report tells you that goals are being missed. The problem here is that you haven’t provided the clarity to inspire engagement. Your team is motivated to do better, and they’ve hit the targets you set for them. Perhaps you set a target of 20,000 tweets during the month. You expect these will produce a positive uptick in lead conversion, but the numbers show this isn’t the case. The problem here is that you didn’t use data to formulate your goal. You assumed that Twitter drives sales, whereas it actually drives your website visits. Without this knowledge, you could be tasking your team with inconsequential effort. You use SMART goal criteria and set targets for every facet of your organization. After a few weeks, you check on progress and discover that only a few of the goals are being worked toward. When you set such broad-brush goals, time becomes an insurmountable issue. Your people will decide which of the goals they feel are important. Meanwhile, the rest fall by the wayside. Your team is hitting its targets, and you decide that a series of videos will provide further impetus to sales. You set the target to produce a package of twenty product videos within three weeks. Team enthusiasm for the project is bubbling. At the end of the three weeks, only four of the videos have been produced. Morale has plummeted, and enthusiasm for the project has all but disappeared. Your people had other projects on their agenda. While enthusiasm was manifold at the outset, people simply didn’t have the time to commit. The three-week timetable turned the goal from being stretching to being unrealistic – and unrealistic goals demotivate. When setting goals, it’s imperative to understand the areas in which your business needs to improve. Get your team together and examine your industry and competitors. Compare your organization with similar organizations, so you have a benchmark for measurement of success. Undertake a SWOT analysis to identify your organization’s strengths, weaknesses, opportunities, and threats. With this work done, you’re now ready to establish your SMART goals. 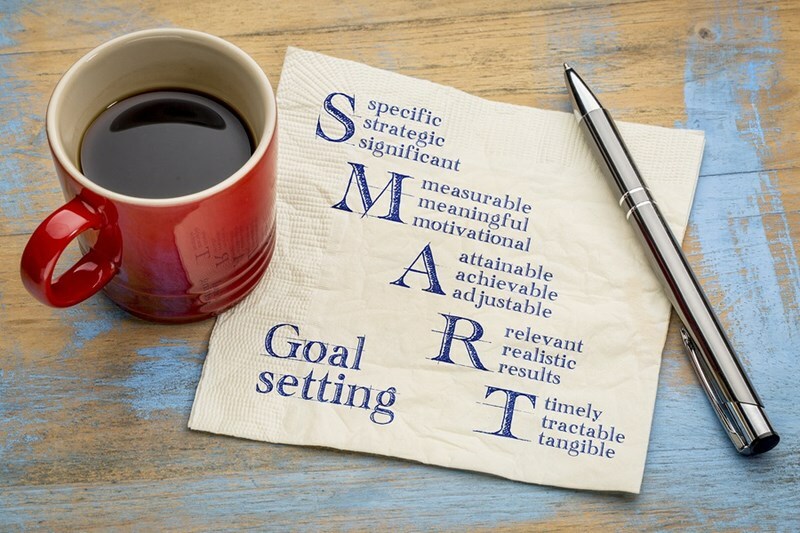 The acronym ‘SMART’ describes the five components of the goals that you will set. If your goals meet these criteria, you will avoid each of the five goal-setting mistakes described above. When people make New Year’s resolutions, they invariably fail because those resolutions are not SMART. “I want to lose weight” is not a SMART goal; it’s a vague aspiration. Make your goal-specific. It should be able to be expressed in a single sentence, and define the who, what, when, and where of the goal. How do you know you have achieved your goal, if there is no way of measuring it? Determine the tangible metrics against which you will measure your goal. In the above example, where do you find last year’s conversion numbers? How were they determined? Are systems in place to make measurements accurately? Goals that are unachievable cease to be goals. They simply demotivate. Is a 20% increase in lead conversion attainable? What outside factors may positively or negatively influence the target? It may be here that you begin to think about the resources needed to reach your goal. Will staff benefit from extra training? Do you anticipate hiring more people? Are you onboarding a new sales system which will improve workflow efficiency? The goal must be realistic. For example, the improved conversion rate may be dependent upon the introduction of a new sales system, but this won’t be introduced until the middle of the year. There will be training required on the new system, which is expected to take two to three months. Suddenly the 20% increase in lead conversion sounds highly unrealistic. A goal must have a target date. This provides focus. It provides urgency. 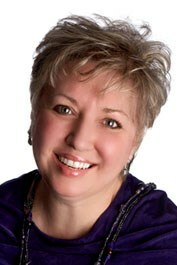 Target dates energize people to perform. Although we’ve discussed SMART goal-setting in the context of business goals, it is equally invaluable when setting team, individual, and personal goals. It’s imperative that when you do so, SMART goals are established in an environment that encourages open and honest conversation. Get your team involved, identify individual strengths, and maximize team energy by using those strengths where and when they are best employed. Contact Forward Focus today to discover how a Facilitated Strategic Planing Process will support goal setting and move the organization forward to achieve success. Inspirational leaders will onboard a culture that makes overcoming resistance to change an integral part of change management and not a separate corporate function. Corporate culture and change management are inextricably linked, though inspirational leadership is needed for employees to see their responsibilities differently.